Platelet-rich plasma (PRP) is a concentrate of platelet-rich plasma protein derived from whole blood, centrifuged to remove red blood cells. It has a greater concentration of growth factors than whole blood, and has been used to encourage a brisk healing response across several specialties, in particular dentistry, orthopedics and dermatology. Main indications in dermatology for PRP are androgenic alopecia, wound healing, and skin rejuvenation. 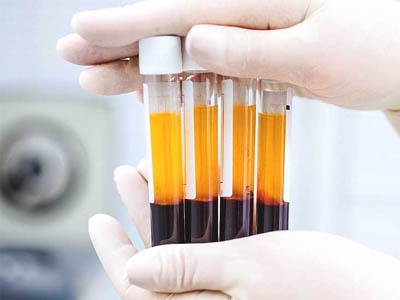 For preparation of PRP, various protocols are used, with an underlying principle of concentrating platelets to 3–5 times physiological levels, then injecting this concentrate in the tissue where healing is desired.